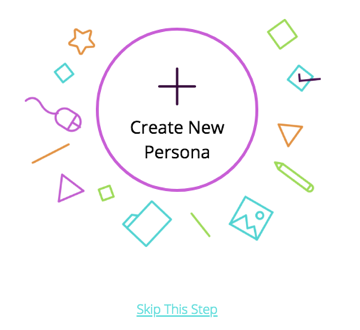 A Persona represents a user type that comes to your website. By adding a persona to your reaction, you further personalize the user experience by making more targeted reactions based on different user types. Having a set of pre-defined personas available to pick from simplifies the workflow and makes it easier to define campaigns for different criteria. 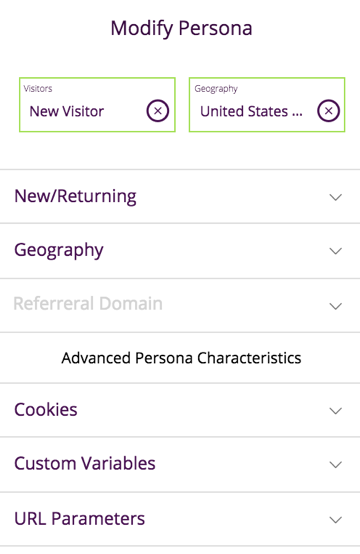 Users can define base personas that can be used by one or multiple reactions. 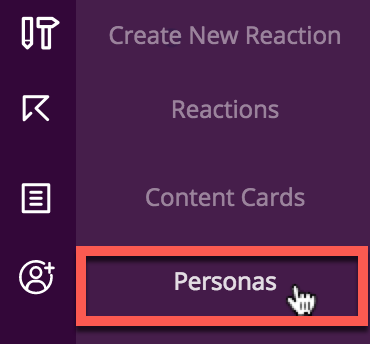 If the persona is changed (added/removed/modified) it can be done in a single place for all reactions used instead of modifying every reaction that uses the persona. Personas use the same workflow as the content cards. After creating your reaction and trigger, the last step will be the Personas. You can create a persona or use an exisiting one you have already set up. If you don't want to use a persona, you can skip this step and finish your reaction. Reactful has standard criteria such as showing the reaction to either new visitors or returning visitors, based on their location, or from which domain they are coming from. Name your persona defining the segmentations used. 'Save Reaction' to complete your reaction setup. 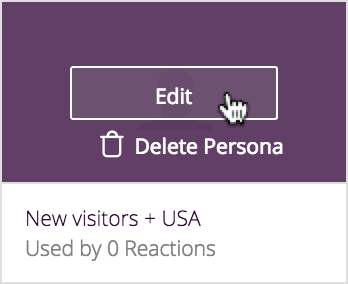 Press 'Save' and all the reactions that use this persona will automatically be updated.